Toyota Celica enjoyed a 35-year run as a top passenger car for Toyota. Although the Celica is now retired, the 1.8L engine that helped build its fame is not. 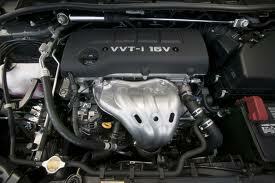 We sell Toyota Celica car engines for sale. Our prices are discounted to save you money when you buy used or remanufactured car engines. We exclusively sell the 1ZZFE engine for the GT series because it was built in Ontario, Canada and is much easier to obtain. It would be very expensive to import Japanese engines and we’d lose our deep discounts that we offer on car engines for sale. You can buy with confidence knowing our Celica engines are a perfect fit. It can be a grueling experience when you need a replacement engine. You can go to a Toyota dealership and be totally shocked at what you are told when you ask to buy an engine. For what these dealers charge, you could probably by a starter home for your family. This is the reason that we deal exclusively in used and remanufactured Toyota engines. We help you keep a little more of your hard earned money. We have a staff of experienced Toyota mechanics that do all of our evaluations and testing for the Celica engines we sell. We never sell a Toyota engine that has not been fully tested and mechanic approved. This goes for both used and reman engines. We want you to get the quality that you pay for and that we promise to give you. Our dyno testing helps us to accomplish this task. All of our engines are hooked up and tested repeatedly in different areas. We check fuel burn off, oil compression levels and to make sure there are no cracks or leaks in hoses or gaskets. Here at www.carenginesforsale.com used engines are cleaned and readied for sale after testing is complete. Our remanufactured 1.8L Celica engines are rebuilt with OEM parts and tested again to prove the quality of each rebuilt engine. We are engine professionals. We are not some Joe-blow that creates auction listings to sell engines for someone else. We sell to legitimate salvage dealers, junkyards and real people that want to save some money. Buying new is expensive and a feat that most people cannot afford. Each of our Toyota Celica car engines for sale are approved by our mechanics and will be in the condition that we have described them when they arrive to you. We save you money in many different ways, but we never take a step back and cut corners to do it. Our quality is amazing and will surprise you. Call our Toyota quote line to get our lowest price at 1-877-630-3873. We don’t mess around. What you get is a low price and not a sales pitch. It is natural to have questions about our engine quality. Ask us and we’ll tell you. We make sure that you have a pleasurable experience and want you to order form us repeatedly. Use our Celica quote form to get an email quote. It’s simple to use and saves you a ton of money.